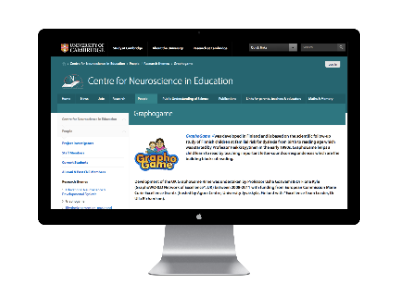 Our research partners at the Centre for Neuroscience in Education at the University of Cambridge have created a step-by-step guide to playing the English version GraphoGame ("GraphoGame: Kids Learn to Read"). The handbook helps educators and parents examine the theoretical background of our learning app and how to use it with their students. We have recently launched our new GraphoCloud service that makes GraphoGame even more effective in a preschool, kindergarten and primary school settings. This quick three minute guide is ideal for teachers and IT staff in organisations that have recently taken GraphoCloud into use.